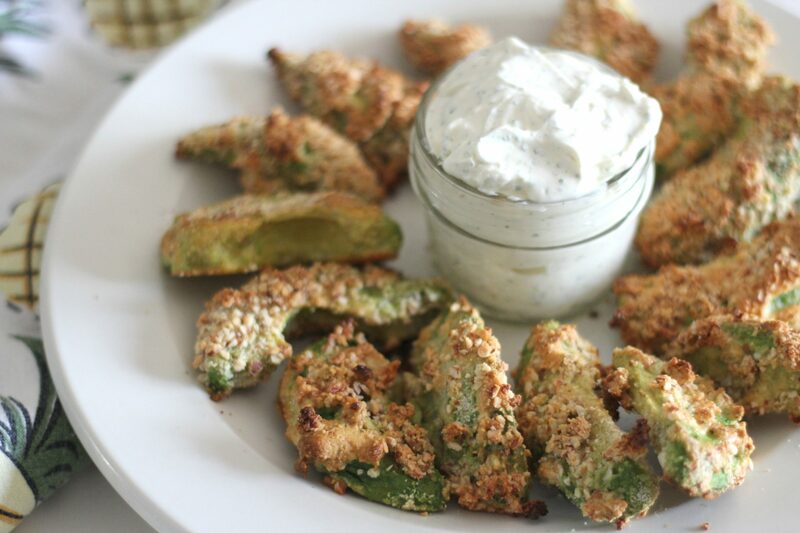 Almond crusted avocado fries are a great low carb appetizer. They are crunchy on the outside and rich and creamy on the inside and taste great served warm with your favorite dip! I feel like I’ve been seeing avocado fries everywhere lately and I really wanted to try them. Of course they were all breaded with flour and breadcrumbs, and that’s a big no-no. So I became determined to find a way to make them while watching the carb intake. Almonds were an easy answer, because you really don’t need much to make it crispy and crunchy. Plus, almond crusted avocado fries are delicious. Take Me To The Recipe Already! I find avocados really filling. In fact, whenever I feel like I might go off track on my diet, I eat half of an avocado and I’m full enough to get past the cravings. The kitchen supplies needed for this recipe are a baking sheet, Silpat or parchment paper, and a mini food processor or blender to grind the almonds. 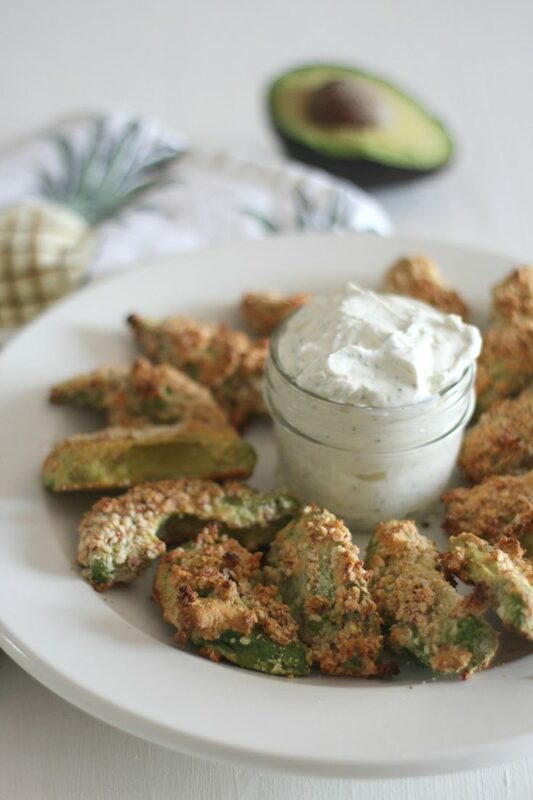 Making these avocado fries is a messy endeavor. I did end up with more of the almond flour and the egg on my fingers than actually on the avocado. I set up a mini assembly line to dip the avocado into the almond flour, then the egg, then the ground almond and seasoning mixture. It went well, but my fingers were coated! Speaking of almond flour… I found some at Costco that I really like although I’m a little nervous that it is such a large bag. I sealed it well and stuck it in the freezer. Is that the proper storage for almond flour? I’d love some input! Break eggs into a small bowl and beat with a fork until well mixed. 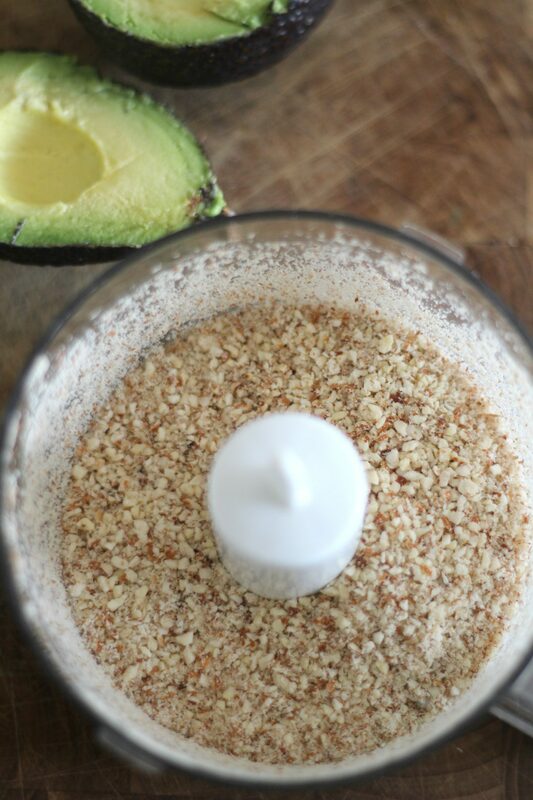 If you don't already have ground almonds, grind with a blender or food processor until it resembles crumbs. Put the ground almonds in a small bowl and add garlic powder, onion powder and salt and stir together well. Create an assembly line with a bowl of almond flour, the bowl of eggs and the bowl of ground almonds. Line a baking sheet with parchment paper or with a Silpat. Slice avocados in half, remove the pit. Slice each half lengthwise, four or five times, to make "fries." 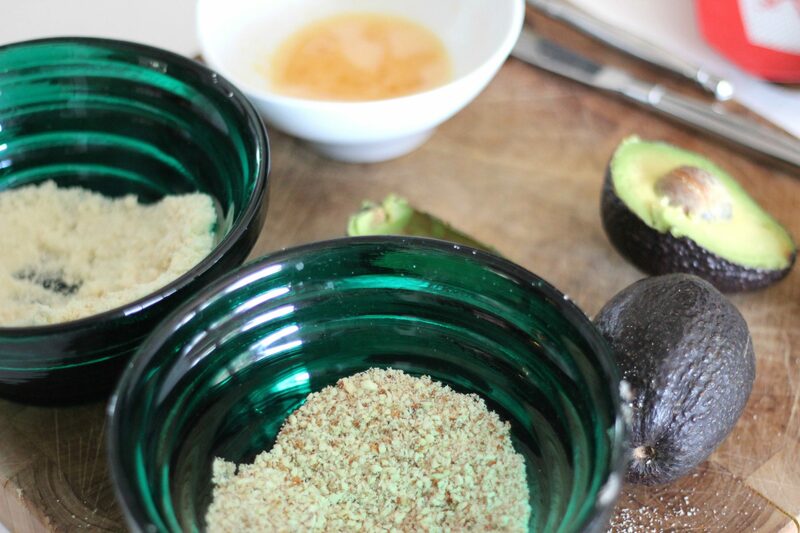 Dip avocado fry in almond flour, then the egg, then sprinkle both sides with the ground almond mixture. Bake for 18-20 minutes. Serve warm with homemade ranch or dip of choice. Once the fries were baked, I served them with some homemade Fresh Basil and Garlic Dip! Yum! Yum! these look so amazing! Thank you for the recipe – I’ll definitely be trying this one out this summer. I have to make hese, they sound wonderful! Pinning this as well as sharing across SM. Thanks for sharing this at the Dishing It & Digging It Link Party. Thank you for sharing at What’d You Do This Weekend? Hope to see you back next week! 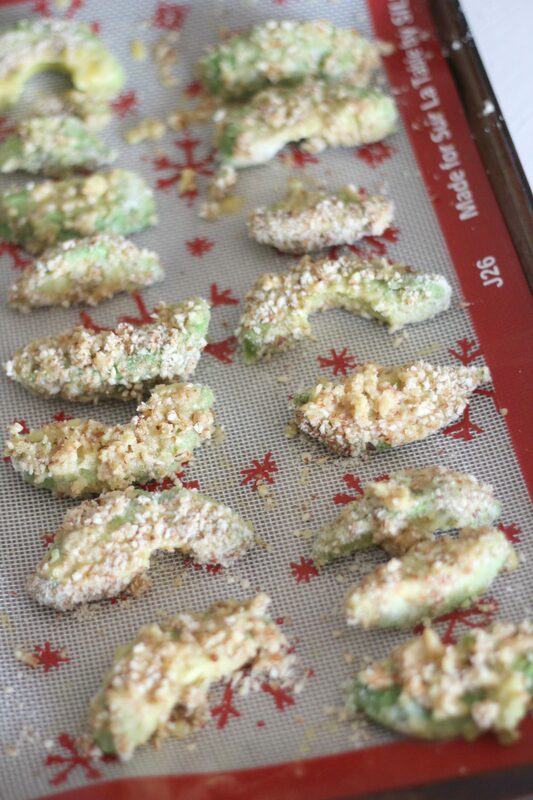 I have seen avocado fries before, but never any crusted with almonds, yum! My mouth is watering just looking at all your photos! Yum! What a delicious looking healthy snack! Wow! These sound fantastic! What a great way to use avocados! Thank you for partying with us at Fiesta Friday! Hope to see you again next week! What a great idea and a fun treat! Your post is awesome and thanks so much for sharing it with us at Full Plate Thursday. Hope you are having a great day and come back to see us real soon! These look so amazing! I would totally demolish a plate of them!! Looks so good! I want to try this sometime. Thanks for sharing at the #InspirationSpotlight party @DearCreatives Pinned & shared. 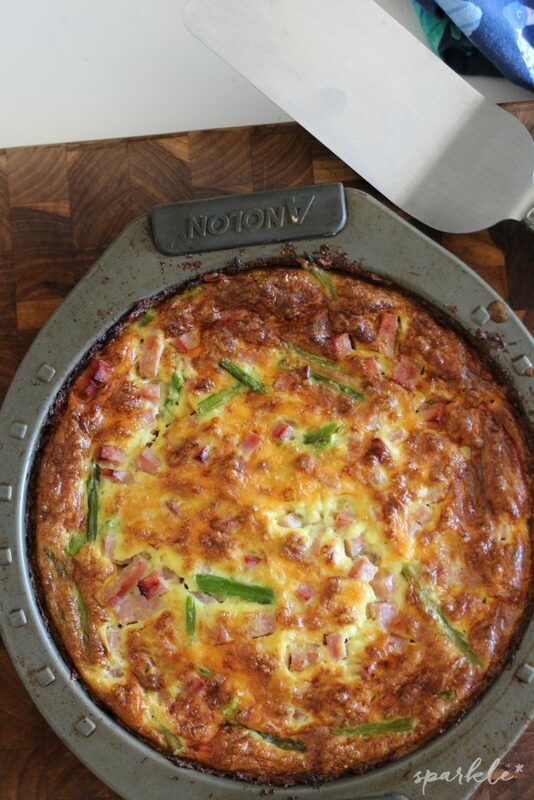 Super low carb recipe thanks for bringing to FF! What, I think that I might have just died and gone to heaven. 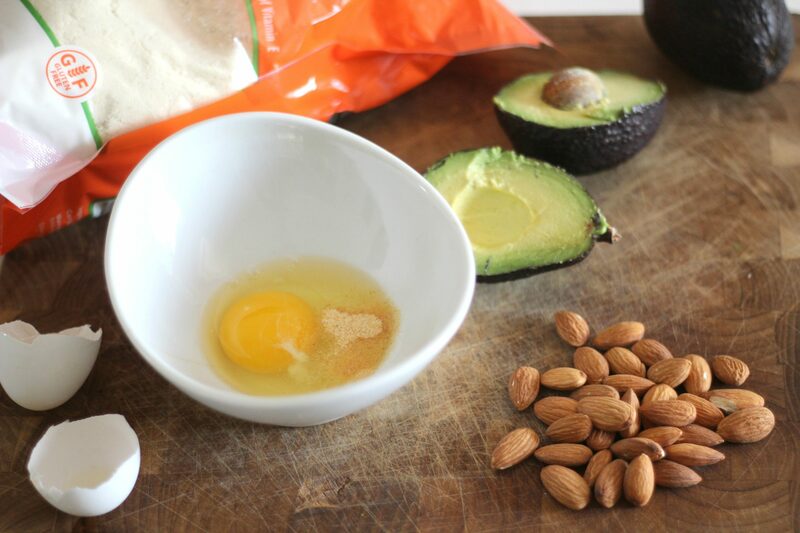 Avocados and Almonds – yes! Thank you for sharing at Dare to Share Saturday. Congratulations on the feature at Wonderful Wednesday. 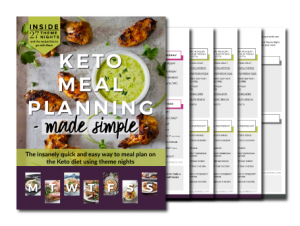 I knew that I had good taste when I thought that this recipe was fabulous!